Leave early at 6am and drive to Govindghat via Devprayag, Rudraprayag, Karnaprayag, Nandaprayag and Joshimath/Auli. Overnight at rest-house in Joshimath/Auli. Early morning we drive to Govindghat and start the trek by crossing the river Alaknanda over a bridge at Govindghat and from there walk towards the Bhyundar valley through forest area and a few villages. There are numerous waterfalls and lush green landscape all around. The gradient of the trail is moderate. The 11 kms trek to reach Ghangharia takes about 4-5 hrs, one can also hire a mule to reach Ghangharia. Overnight in rest houses at Ghangharia. We start the day’s trek with a short ascent to the valley. Gradient is moderate and the landscape soothing to the eye. It will take about a couple of hours to reach the valley. There are unending meadows laden with varieties of alpine flowers, network of streams and big mountains all around. The prominent species are Brahma Kamal, Anemone, Geranium, Marsh Marigold, Primula, Lilium, Potentilla, Ranunculus, Inula, Corydalis, Pedicularis, Arisaema, Ligularia, Morina, Impatiens, Saxifrages Bistorta, Anaphalis, Sibbaldia. One can spend 3-4 hrs exploring different corners & vantage points of the valley and towards late afternoon retrace steps to Ghangharia. Overnight we stay in a rest-house at Ghangharia. Climb to Hemkund Sahib is steep at places and will take about 3 - 4 hours. Hemkund Sahib is a popular Sikh Shrine built next to a lake. The lake is surrounded by wild flowers. Pilgrims take a dip in the freezing cold waters of the lake. Hot tea will be served in the Gurudwara (Shrine) before retracing steps to Ghangharia. Overnight we stay in rest-house at Ghangharia. Day 5 : Ghangaria to Govindghat, 4 to 5 hours' hike : 11 km 5 km drive : Trek back to Govindghat. Day 6 : Govindghat to Dehradun, 8-9 hours' drive 320 km : Early morning after breakfast we drive to Dehradun. 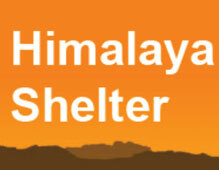 Transport support from and to Dehradun: starting from pickup on day 1 to drop on day 6. All veg meals starting from day 1 dinner to day 6 breakfast.